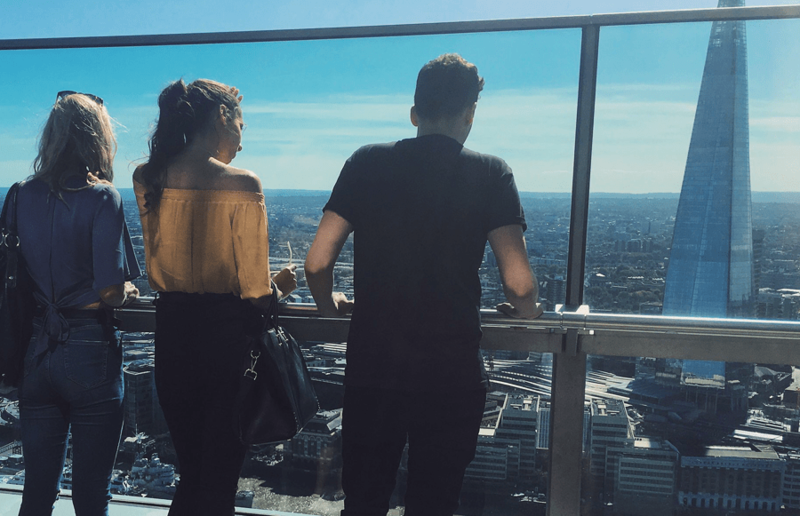 We love cocktails and incredible cityscape views, The Sky Garden has both! It’s not often Alfie and I get to do the more touristy bits in London but as my sisters were coming down for a visit I thought I’d book us a slot the popular Sky Garden. 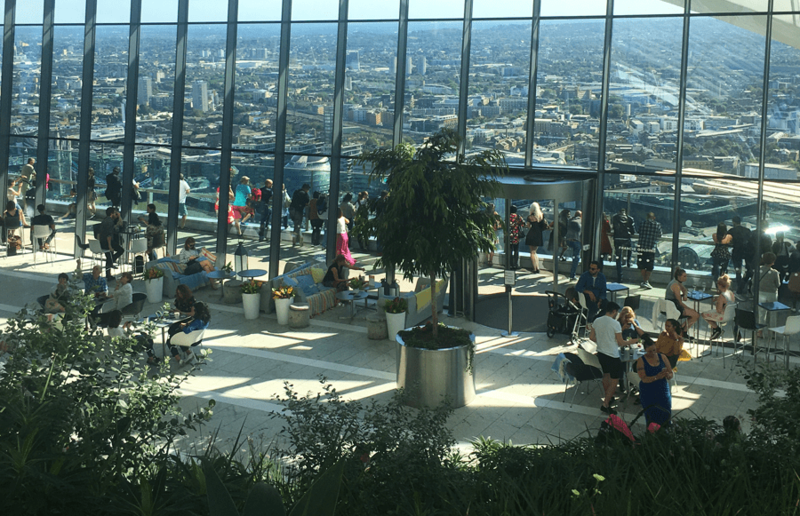 The Sky Garden requires you to book a time slot to make a visit, which means you often have to book at least a month in advance during busy periods. On Sunday, our time finally came around and we made our way over to the 20 Fenchurch Street (aka The Walkie Talkie). Let’s cut down to the chase, it’s the view from the open air balcony that you really want to see. It doesn’t disappoint. You can see for miles from the building. The views feature nearly every famous London landmark. The venue hosts several bars and restaurants that you can book yourselves into. We chose to have a round of cocktails from their Sky Pod Bar menu. Obviously great minds think alike, and we all ordered a Berry Mojito – which was deliciously strong and dusted with icing sugar. 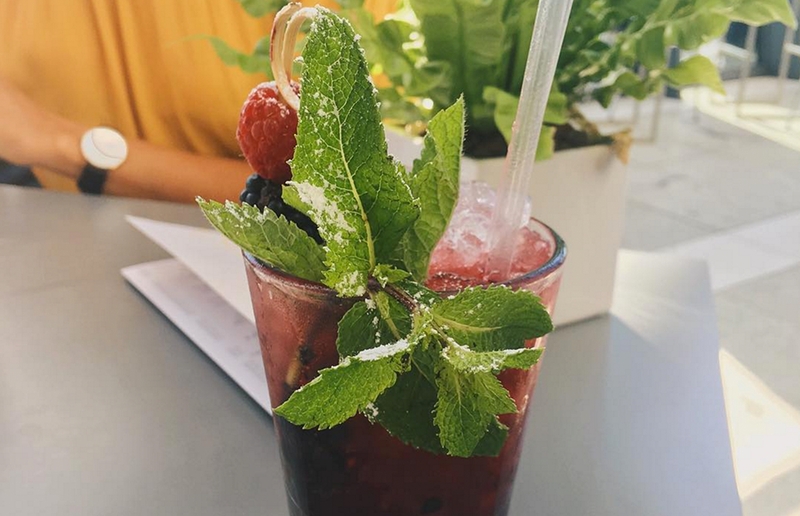 We highly recommend the Berry Mojito! The enormous glass room on the top floor is filled with different tropical greener (hence Sky Garden) and has different spots around the room to sit and enjoy the expansive views. The hour time slot is just enough to enjoy the sights and still want to come back another day. Maybe next time we’ll go in the evening to take a look at the city lights! If you fancy a visit, click here and make your booking. London Cheese Month returns in May… Here’s what you can expect!